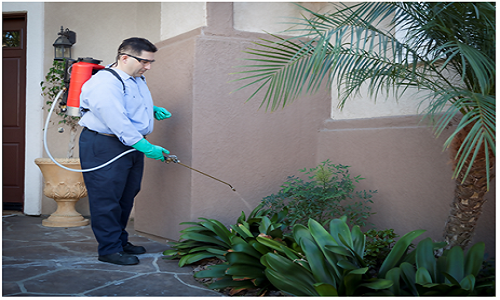 Why Exterior Pest Control Only? We believe the best outside pest control is keeping pests out in the first place. This is why we offer our exclusive Border-Guard pest control program. Our Border Guard program helps to create a barrier around your home that will protect you from invading pests. What Do We Do For Exterior/Outside Pest Control? – Apply a barrier approx. three feet wide around your foundation. – Seal and caulk pest entry points around foundation such as A/C lines and plumbing lines. – Treat under home as needed for safe pest control. – Return as needed for emergency applications for free. Choose Our Exclusive Outside Pest Control Program for Pest and Termites? 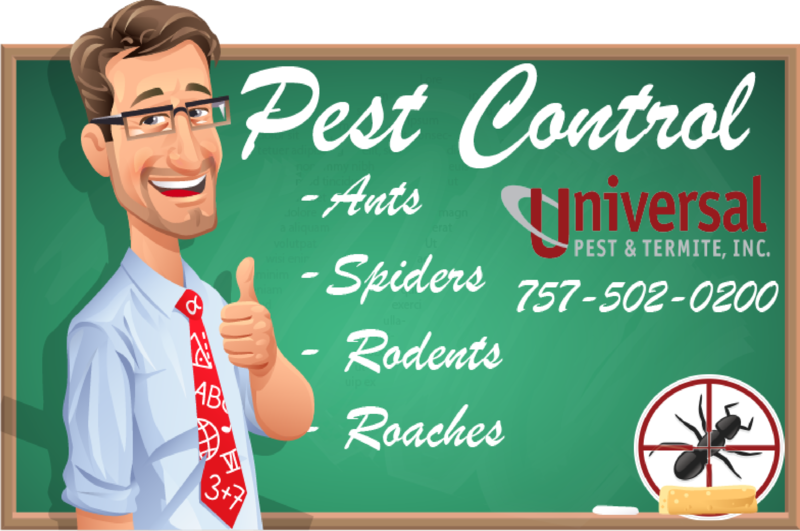 We offer outside pest control only services as well as our exclusive Year-Round Pest Protection Program. We believe the best way to control pests in your home is to keep them out in the first place. Universal Pest & Termite does this by limiting the amount of pesticide applied. How do we control pest better by reducing pesticide? Incorporate IPM as part of our standard service. IPM (Integrated Pest Management) is the strategy used by pest professionals who understand the habits, needs and lifestyle of unwanted pests such as rodents, ants, spiders and other occasional invaders. This is accomplished by sealing and caulking entry points along your foundation such as plumbing lines, HVAC lines, dryer vents and electrical lines. 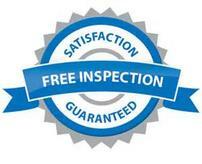 Additionally, we inspect for food sources and moisture issues that may be contributing to your infestation. Why Focus on Exterior Pest Control? Most insects find their way in through openings in your foundation and attic. If you can eliminate entry points you can reduce the risk of any pest infestation. Integrated Pest Management is standard with our pest program. Our technicians are trained to look for common entry points. These areas include around the HVAC lines, plumbing, foundation vents and crawl space openings. We are equipped to caulk and seal these entry points thus reducing the amount of material needed to apply. Seal up. Keep out. Our standard Border-Guard quarterly pest program puts the focus on the outside. If interior service is ever needed, just call. Any additional services in between regular schedule service is no charge. Your technician will be just a call away. You will have a set technician trained to know your specific needs and concerns. Our exterior applications include applying a liquid barrier around the perimeter of the home. This will include round first floor windows and doors. If rain is in the forecast, we will apply a granule product designed to dissolve with moisture. No need to total yard treatments. Let’s protect the “good” insects. What Pest are covered for this service? Most common pest invaders are covered with our Border-Guard pest program. These include ants, roaches, rodents, spiders, fleas and more. Simply give us a call to find out more. As always, any emergency return visits you may need are no charge.